Ania Bartelmus, "La Candela", is a professional flamenco dancer based in Atlanta, GA, and a founder of La Candela Company, a flamenco & Latin entertainment company. 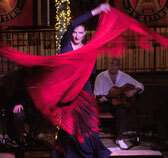 She received flamenco training from Spain’s top flamenco artists while living in Seville, which makes her style authentic and unique. For over ten years, she has performed across the US, Switzerland, Poland and Spain. 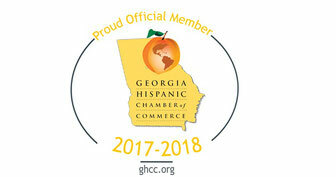 Past venues include Spanish tablaos, as well as US venues including the Reuther Auditorium in Kenosha, WI, Kimbell Art Museum in Ft. Worth, High Museum of Art Atlanta, the Emory University Theater, Shakespeare Tavern and the Telfair Museum Savannah. Ania also appeared in the CBS’s “Better Mornings Atlanta” and PBS station’s program “This is Atlanta”, and was a featured dancer in the music video “Kiss the Night”. Ania is currently touring North America with the Grammy-nominated flamenco guitarist David Maldonado and his flamenco symphony production "Noche de Pasion". 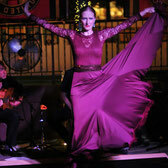 Authentic flamenco dancer trained with the top flamenco artists. Ania offers classes on any levels in English, Spanish or Polish. Flamenco choreographer for any flamenco themed or Spanish themed production. When studying at the Centro de Arte y Flamenco de Sevilla, Ania took classes with singer Curro Fernandez, who sometimes substituted for his daughter Esperanza Fernandez. During the class Curro fondly called Ania “Rubia de la Candela,” a nickname that represents Ania’s dancing; passionate and mesmerizing. Noche de Pasion, a David Maldonado flamenco symphony tour. 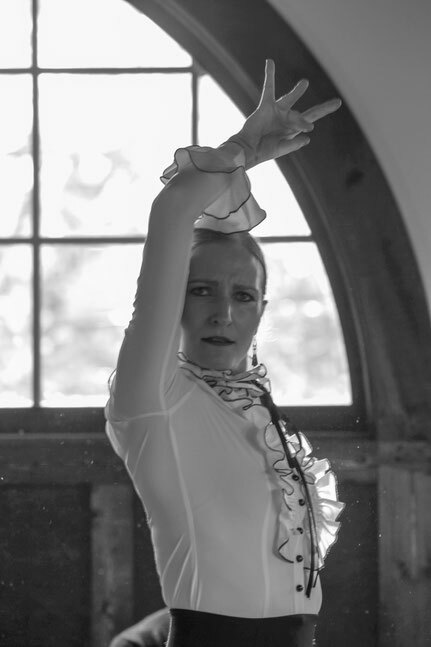 Ania Bartelmus is the lead dancer as well as founder and director of La Candela Company. Ania’s love affair with flamenco started years ago when she first saw a live flamenco show in her hometown Wrocław. Before discovering flamenco she trained in many other dance forms, theater and gymnastics but it wasn’t until she saw flamenco that she became passionate enough to pursue it as a career. Her passion for flamenco made her leave everything and move to Seville, Spain to pursue her dreams of becoming a professional flamenco dancer and start her own company. Upon her return to Atlanta, Ania started collaborating with other national flamenco artists and kept going back and forth to Seville for more training and more performing experience. Eventually, in 2014, Ania started her first company called Ania Flamenco which last year became known as La Candela Company. La Candela means the flame and is also Ania’s nickname. It was in Seville that Ania received her nickname from the renowned flamenco signer Curro Fernandez who saw flamenco flame in Ania. Ania is in charge of musical and dance arrangements, booking national and international artists for her shows as well as managing company’s day to day operations. 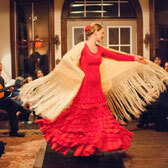 She lives her dream of making a living with flamenco, creating new shows and dancing every day. 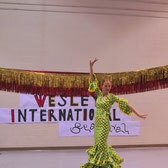 Ania listens to flamenco music, her exercise is dance, and her favorite travel destination is Spain. Even her partner Greg is very involved in flamenco and is behind most of the photos and videos that you see of La Candela Company, as well as, all the stage and equipment needs.